Spanish media group Prisa has given a 15 day ultimatum to Telefonica and Mediaset, owner of Tele 5 and Cuatro, to complete the purchase the satellite pay-TV platform Canal Plus. The move comes after Rucandio holding, a family investment company owned by the Polanco family (Polanco was the founder of Prisa) had lowered its stake in the media group from 31.6 per cent to 25.53 per cent. As a result, a clause in the shareholder agreement between the three companies has been triggered and Telefonica and Mediaset, each of which own a 22 per cent stake in Canal Plus, now have 15 days to decide whether to proceed with the acquisition of Prisa’s 56 per cent share. 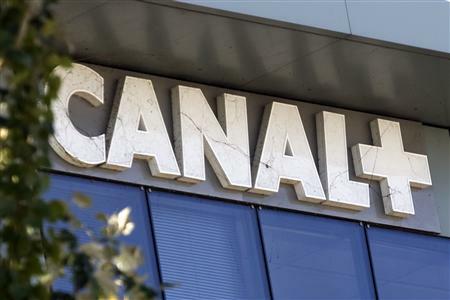 Telefonica is said to have bid €600 million last month for the 56 per cent stake in Canal Plus but the offer was reportedly rejected. Prisa would like to get €1 billion. Another possible candidate for the acquisition might be Al Jazeera. With a possible purchase, Telefonica would become the leading pay-TV company in the Spanish market with over 2.2 million pay TV clients combined (Canal Plus currently has 1.633 million whereas Telefonica, 609,300). Mediaset’s interest stems from its recent announcement that it may merge its pay-TV operations in its core markets of Italy and Spain, a plan that envisages the creation of a new company holding 100 per cent of Italian pay-TV service Mediaset Premium as well as Mediaset’s stake in Canal+.